In the 1970s, Congolese music was in transition from one golden age to another, already gearing up for yet another and another. People were listening to and appreciating Congolese music almost everywhere in Africa. “Franco,” Francois Luambo Makiadi of OK Jazz, was a household name. 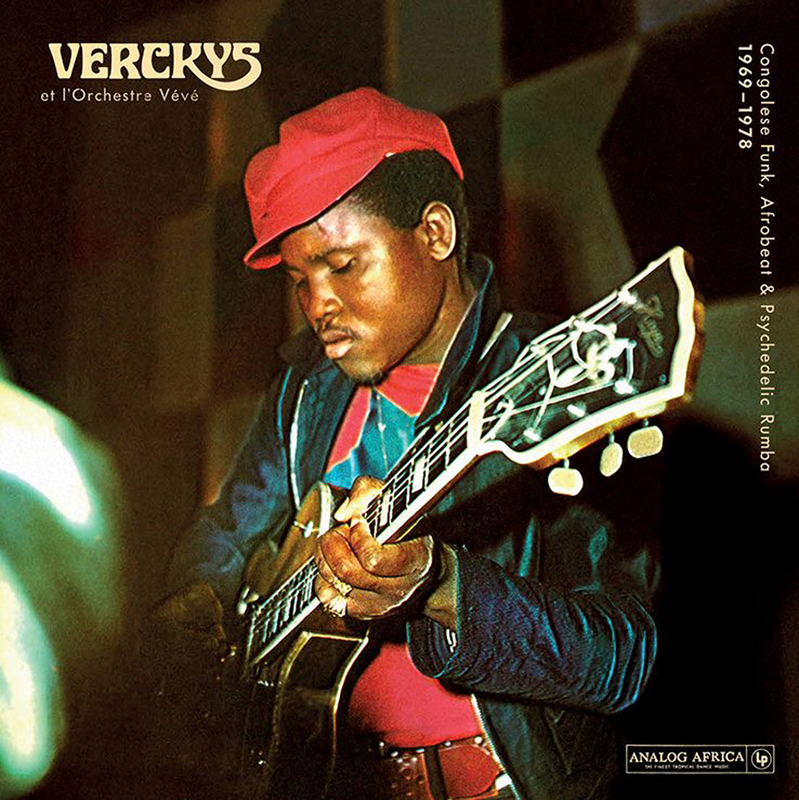 Verckys, born Georges Kiamnguangana Mateta, started with OK Jazz at age 18, but left to for his own Orchestre Veve in 1968. Along with Franco and Tabu Ley, Verckys was a major player in the transition. His music and that of the bands he recorded and produced at his Veve Centre studio would pave the way for the next generation, most notably Zaiko Langa-Langa and l’Empire Bakuba. In the early 70s, the infamous “Rumble in the Jungle” heavyweight boxing championship match between Foreman and Clay was staged in Zaire along with a multi-day concert featuring African and African-American musical giants. James Brown was there, The Spinners, Franco & T.P. O.K. Jazz, Tabu Ley & Afrisa, Fania All Stars with Celia Cruz, and Miriam Makeba among others. James Brown, whose music was played both openly and clandestinely almost everywhere in Africa, dubbed Verckys “Mister Dynamite” after seeing him perform. This CD contains a variety of songs from Verckys and Le Veve. There are solid Congolese rumbas with Verckys’ signature saxophone (tracks 2, 5, 7, 9 and 10). There are songs, heavily influenced by James Brown, that were made for the Kenyan market when Verckys and others recorded there due to piracy issues in Zaire (1,3,8). There’s an Afro-Latin track that shows great affinity with Afro-Latin tracks from Senegal and Mali (11). And more. Good CD from Analog Africa that puts previously unavailable songs from Verckys and Le Veve on CD.